Asus added Zenfone 3 Max in its growing Zenfone 3 portfolio. Asus Zenfone 3 Max becomes official with 4100 mAh battery. 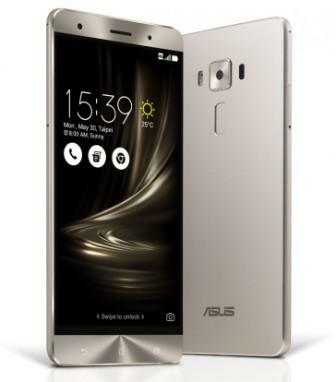 The release signals a number of upcoming smartphones under the popular Zenfone 3 family. Basically, the Zenfone 3 Max is instantly comparable to last year's Zenfone Max. This year's iteration is smaller in terms of screen real estate and battery capacity than last year's offering. The Zenfone 3 Max only measures 5.2-inch in diagonal and packs 4100 mAh of juice. But the company headlines the handset's power bank function which technically patches up its smaller-screen shortcoming. For the purpose of comparison, Zenfone Max has 5.5-inch display and 5000 mAh battery. Other features of the Zenfone 3 Max are pretty capable. It churns with a Qualcomm Snapdragon 615 chipset which comes with an octa-core CPU and Adreno 415 GPU. The IPS HD display is treated with Corning Gorilla Glass 4 making it tough on serious bumps and scratches. There's a 3GB of RAM on board for faster app launching and multitasking operations. Plus, it wouldn't be a Zenfone if it does not have a capable camera. In this department, there's the 13MP f/2.0 rear camera with laser autofocus and LED flash. It is coupled with a 5MP front camera with the same f/2.0 aperture lens for great social media selfies. What's more impressive is that you'll get Android 6.0.1 Marshmallow out of the box. Initially, the 32GB handset is priced at USD 201 (roughly Php 9,420) in its Vietnam launch. We are not sure if the handset will have an appearance in Zenfone 3's Philippine release this coming August 14, but we will keep you updated once it hits the country. Update: Zenfone 3 Max and Zenfone 3 Laser will be released alongside the other Zenfone 3 smartphones on August 14 in Asus #Zenvolution event.